This is a three piece wedding invitation suite. 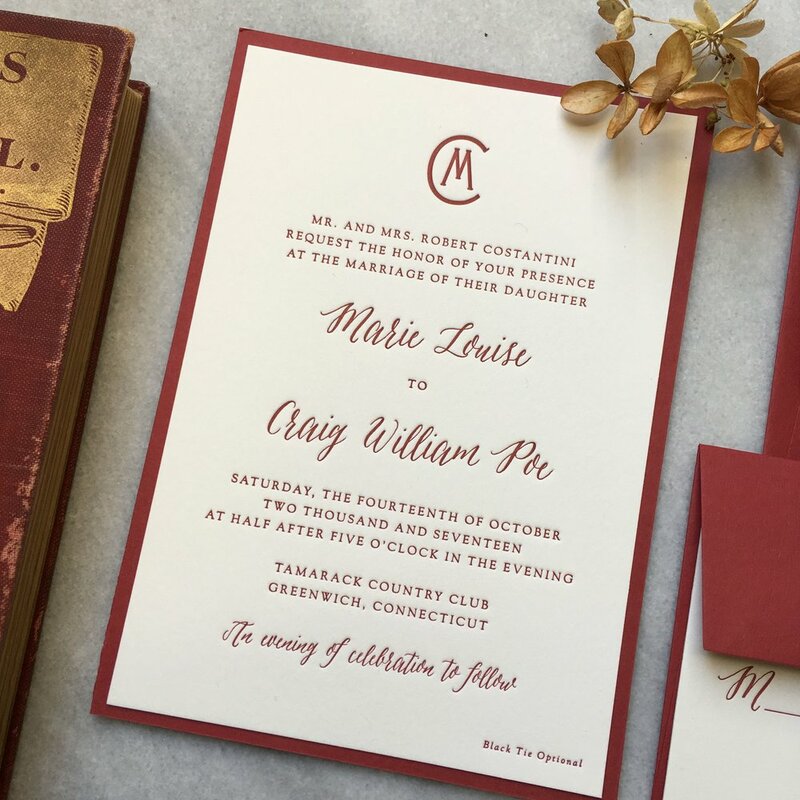 It is letterpress printed on 100% cotton, natural white stock, and mounted on burgundy paper. 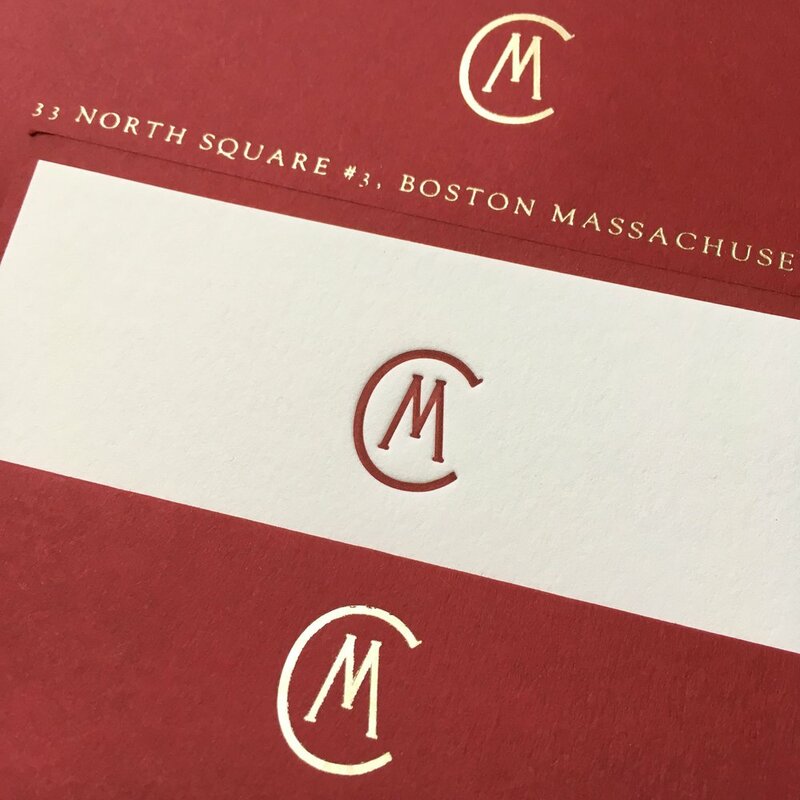 The invitation features gold foil envelopes.